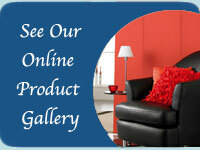 W & P Blinds Ltd can supply and fit venetian blinds for your home. 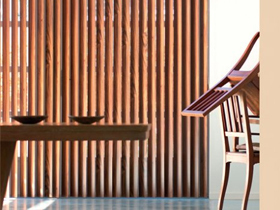 Our metal Venetian blinds come in a variety of slat sizes, ranging from 15mm to 50mm and are ideal for damp or warm environments such as kitchens and bathrooms. They are especially hardwearing and easy to clean. We have a vast selection of colours including 'Aluwood' which combines the look of a natural wood with the practicality of aluminium. The 'Unity' range is perfect for the customer who wants the best that both wood and metal have to offer, with sleek 50mm aluminium slats fitted with a co-ordinating wood valance and bottom rail. 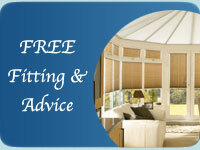 Other options include the 'Perfect Fit' and 'Intu' ranges - where the blind is fitted neatly inside uPVC window frames. Ideal for conservatories with no drilling or screws required. 'Rustic' - unique one off wood in 7 rich shades. 'Sherwood' - 15 finishes in both natural wood and modern painted shades. 'Faux' - laminated wood effect blinds suitable for bathrooms and kitchens, where natural wood might be damaged by the damp conditions. 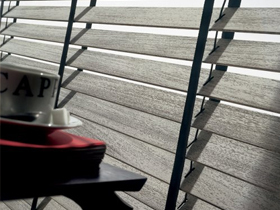 Four slat widths are available in wooden Venetians - 25mm, 3mm, 50mm and 63mm with 8 contrasting tapes plus co-ordinating head-rails, cords and ladders. Very importantly - timbers are grown in sustainable forests.